Leaps & Bounds has a terrific Party Program! 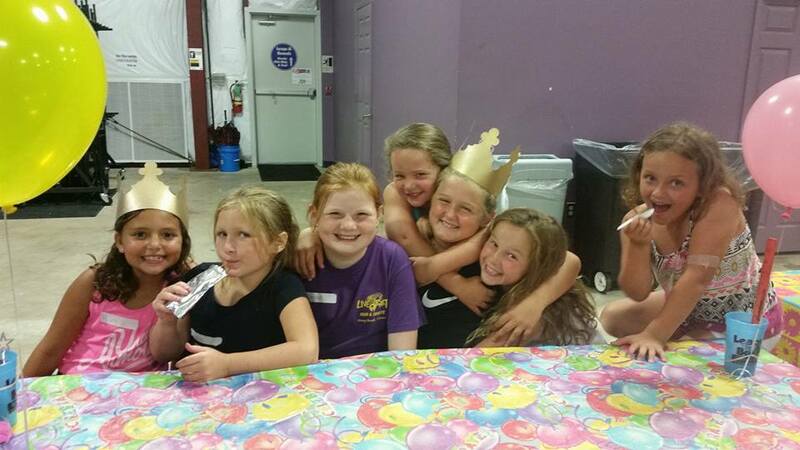 Our Party Program is designed for both girls AND boys! Kids love to be the center of attention at Leaps & Bounds and having your party here is the perfect way to make your child’s birthday fun and memorable for all. 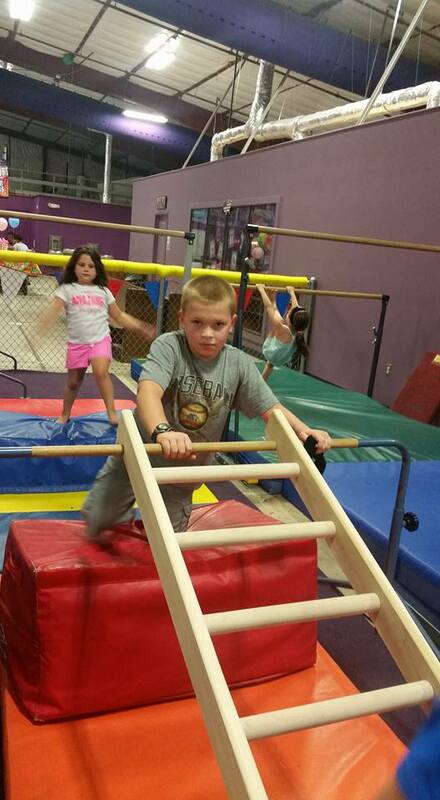 Our goal is to provide a great time for the kids with no work or clean up for you! Gym parties are 1 hour and 30 minutes long. Your party has 1 hour in the gym and 30 minutes in the party room. For our My Leaps & Bounds Party we will assign two Cal Elite coaches for 20 participants (including the birthday child). Additional participants will be $12.50 each with the party time running for 1 hour and 30 minutes. For any parties that add an additional 30 minutes, additional participants will be $15.50 each. In order to guarantee a 3rd coach we need as much notice as possible. If you think you will be going over 20 kids we advise that you notify the party director 1 week before your party. Our parties are designed for children 3 years and older. It is also helpful to us if there is not a big age difference between guests. 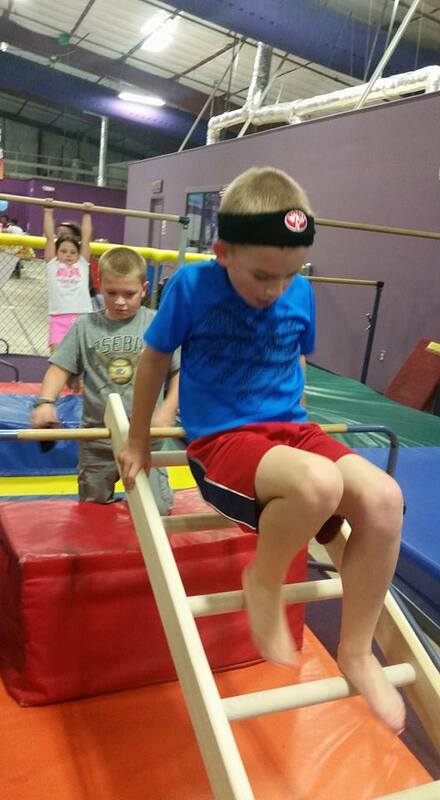 We prepare entirely different activities for 3-5 year olds than what we prepare for 12-13 year olds. As you are working on your invites please keep in mind that parents are not allowed on the floor with children. We can arrange for preschool aged activities where parents are allowed however, this must be coordinated days in advance with our party director. What Do the Kids Do During the Party? You will be able to design your child’s party by choosing from our list of party activities. Open Gym/Free play is the most popular activity, however if you request a more structured party, your party will then go around from one activity to the next, ensuring that the kids are busy and happy. It is important that each party stays on schedule as we want to ensure that everyone gets time to do their favorite activities. The kids love our trampolines and cargo nets. They also enjoy the trapeze, relay races and obstacle course. We have music, parachutes, tunnels, ladders, sack races, hoop games, dodge ball, gymnastic challenges and a multitude of other fun activities to choose from. 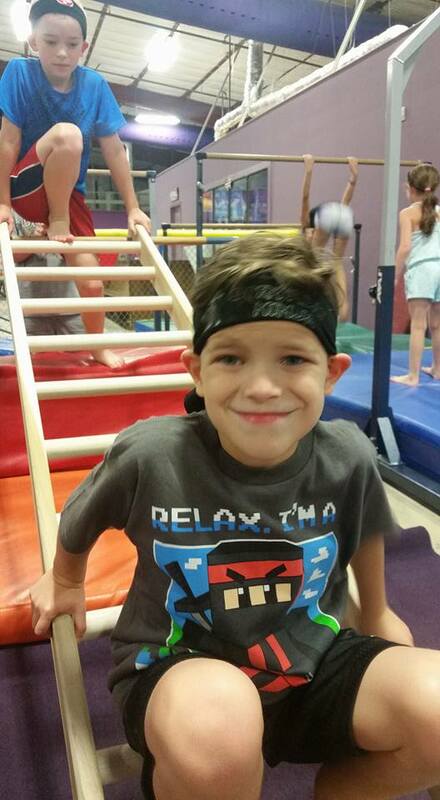 Ninja Zone Parties will also offer kick class, a chase scene and ninja games. We have pizza packages available for an additional fee. A pizza package includes 4 large cheese or pepperoni pizzas as well as 3 two liters of soda for $58. (coke, sprite, diet coke, and dr. pepper). 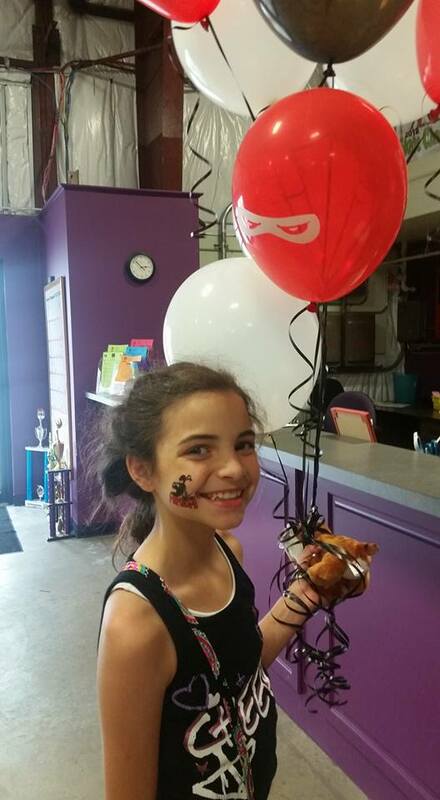 When you book your party online it will ask you before checking out if you would like to add a pizza package. Do I Have to Be a Member of Leaps & Bounds to Have My Party There? No. You do not have to pay a membership fee to have a party with us! If you have any more questions please call 225-665-7200 or email Wanda Gunter at wanda@leapssports.com.